Positive reactions to patches that deliver are only natural. Many basketball gamers are sceptical as to whether or not our feedback is taken seriously by the developers, or if it’s even actually seen. Therefore, when we see our feedback put to use, we’re inclined to react with excitement, and gratitude. Not everyone agrees with that sentiment, of course. Others are more inclined to look at how long it took to get those features into the game, or resolve the troubling issues in question. They’ll point out that it doesn’t change the fact that a game launched in a less than ideal state, and that we shouldn’t praise developers too much for simply fixing a game so that it’s satisfactory. It’s completely understandable that both sides react the way that they do, and both have a valid point. Fixing a game that was broken or unsatisfactory at launch is obviously a welcome turn of events, but it doesn’t change the initial disappointment. At the same time, it’s the desired outcome of post-release support and providing the developers with feedback, so we’re going to feel some degree of satisfaction and gratitude. Unfortunately, as is the case whenever someone else doesn’t react the same way that we do, we’re prone to questioning everything from their intelligence to their loyalty to the brand, while readily throwing around words like “hater” and “fanboy”. This phenomenon isn’t exclusive to post-release updates, either. A common refrain when a basketball game that is poorly received for whatever reason is followed by one that is seen as a drastic improvement is “This is just the game we should’ve gotten last year”. Once again, there is a schism between gamers who feel that certain features and design choices could’ve and should’ve been in place sooner, and those who are glad to see that their feedback was heeded and they now have a better game to play. And, once again, both contingents do have a point. No one wants to suffer a bad game to get a good one, but concepts that ultimately pan out don’t always succeed right away. While I can see the merit in both viewpoints, I do find myself siding with my fellow gamers who react more positively when a game is enhanced post-release, or improves significantly upon its predecessor. It’s absolutely fair to acknowledge that a certain change or addition is overdue, or that a previous game was disappointing. Likewise, any criticism of problems and deficiencies at launch, or in the previous release, do remain valid. With that being said, refusing to give any credit when the developers do deliver on a fix or addition is moving the goalposts. It’s disingenuous to make requests or suggest improvements, and then react with cynicism when we get what we want. To me, it’s about the bigger picture. Is it frustrating when our feedback seemingly isn’t being heeded, or it takes a few years to get things right? Yes, absolutely! 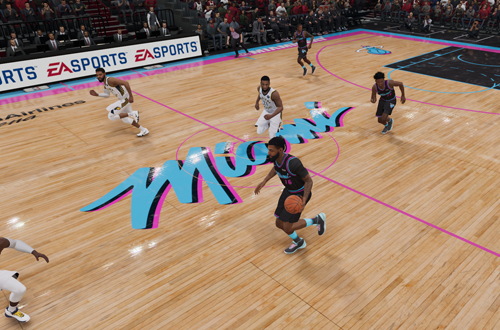 It’s fair to criticise an ill-advised design choice or the length of time it’s taken to implement what should be a basic staple of basketball gaming. However, it’s also great news when our feedback is clearly being listened to, and the developers are able to deliver what we’ve wanted so much, and asked for so enthusiastically. It’s proof that they’re listening, and will continue to listen. 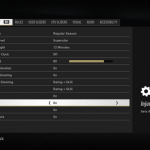 It means that the games have changed for the better, and that these fixes and additions can feasibly contribute to even better releases in the future. I feel there’s an underlying issue here that permeates gaming and Internet culture in general. A negative reaction or opinion is often considered to be a smarter stance, whereas positive reactions are considered myopic and lacking in critical thought. The irony here is that that line of thinking is rather myopic, as there’s nothing inherently clever, noble, or accurate in always being negative. Furthermore, it’s a very limiting principle because it doesn’t allow acknowledgement of anything positive. Instead, you must always change gears, move the goalposts, and find a way to criticise what you would normally be happy about. Grumbling about the timing is as good a way as any. After all, there’s little point in continuing to complain about a problem that has now been resolved. It’s far more productive to move on to the next issue that still requires a satisfactory resolution. Since the developers are obviously listening, it’s worthwhile to bring up said issues, and hopefully, they’ll be addressed as soon as possible. That’s not to say it isn’t fair to criticise past shortcomings, or note the current state of a game in relation to where we feel that it should be. Cynicism and scepticism don’t appear out of thin air, either; we feel that way because of our previous experiences. Steps in the right direction generally are cause for optimism though, cautious though it may be. Should injuries have been in NBA Live a decade ago, given that the series did have them in the PlayStation 2/Xbox era? No question. Should NBA 2K18 have been more like NBA 2K19 in its approach to VC earnings, shooting mechanics, and so forth? I’d suggest that a lot of gamers would agree that it should. It’s unfortunate that we had to wait as long as we did for certain features, and buy games that disappointed us, but fortunately, that wasn’t the end of the story. Being pleased and grateful when the developers are able to deliver on something we’ve asked for isn’t giving them a pass. It’s appreciating their willingness to listen, and reaping the benefits of our feedback. Needless to say, it’s wise to be cautiously optimistic, and that’s where acknowledging past issues and the length of time it took to fix them is important. A full-priced game should be more or less fully featured at launch, though it’s also worth noting that the annual sports games have a brutally short development cycle when compared to other genres. 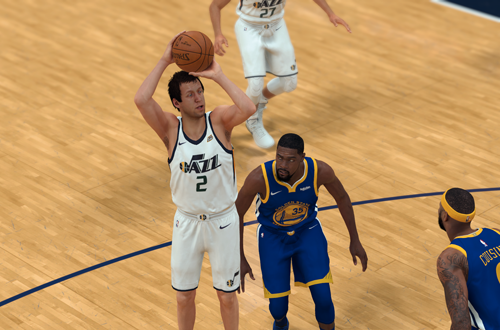 NBA Live being behind on certain features is a ripple effect from all of the setbacks it’s endured, while NBA 2K’s issues with goodwill are the result of the hubris that can easily come with great success. At the risk of sounding pretentiously poetic, both games needed to walk the path they’re on to get to where they’re currently at. As we take part in that journey alongside the developers of NBA Live and NBA 2K, it can admittedly get tiresome. That leads us to react with cynicism, and arguably, an apparent lack of gratitude. Producing a satisfactory product may not be going above and beyond in and of itself, but it’s worth acknowledging when developers do indeed go above and beyond to correct course and meet expectations. Don’t get me wrong; I’m not trying to justify disappointing games, nor shut down valid criticism, but when we get what we want, isn’t that a good thing? When the developers are able to deliver, scorn can take a backseat to satisfaction, and a word of thanks is hardly kissing up. Great article! I must say l am proud of the NBA Live Development team for looking at fans blogs and listening on social media. I was glad to see the “confidence meter” implemented in the game. 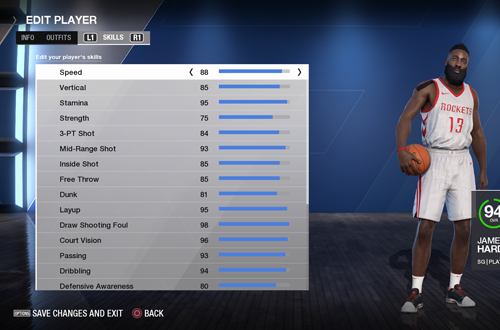 I wrote about that in my series of blogs called “Dear NBA Live Developers & NLSC Family” in November of 2017 under the NBA Live 18 forum and saw that it was present in this years’ installment of NBA Live franchise. Once again thank you, Andrew, for the feedback on my blogs as well and always trying to better the product of NBA LIVE by being fair honest throughout the years. I will be writing blogs this year just been really busy. Bye for now! Love from Toronto, Canada. Thanks for the kind words, glad you enjoyed the article! Also, thanks for helping us compile quality constructive feedback over the years. It’s easy to get sceptical about whether or not it’s worth it, but when you see some of the things they’ve added, I feel it’s still worth a shot.